Click the username in the top right corner and select the “Edit profile” menu option. Select the “Change password” button. Enter the old and new passwords. 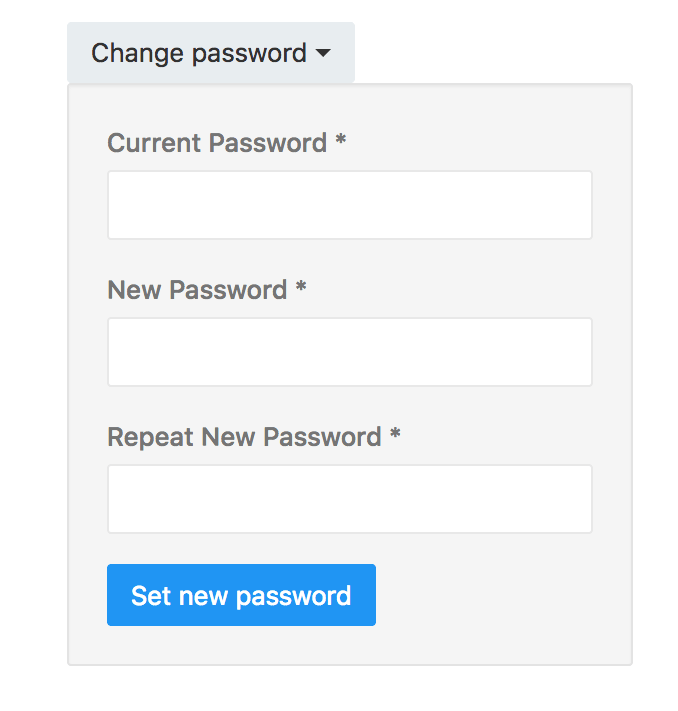 Click “Set new password” to save your changes.